Here's demo of Constant motion and Ease In and Out timing. Remember, the faster you want the balloon to travel, the more spacing you need to add between your drawings. If you want the balloon to move slower, the less space between drawings. If you only have a fast motion to slower motion to fast with no ease ins or outs, your balloon animation may look like this. It will have an odd jerk from one speed to the next. An easy fix is to find the last drawing of the balloon moving quickly and the first drawing of the slower balloon movement and make 3 inbetween drawings to create an Ease In. 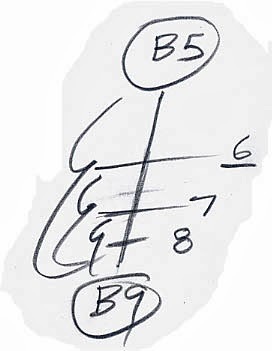 The timing chart would look like this, notice how the spacing is reduced thru B5 and B9. If your animation moves too quickly, you can always add more inbetween drawings to smooth out the motion. Once you have the animation drawings, pencil test them by shooting each drawing on 2s (2 frames). This will show you how your animated balloon is moving. 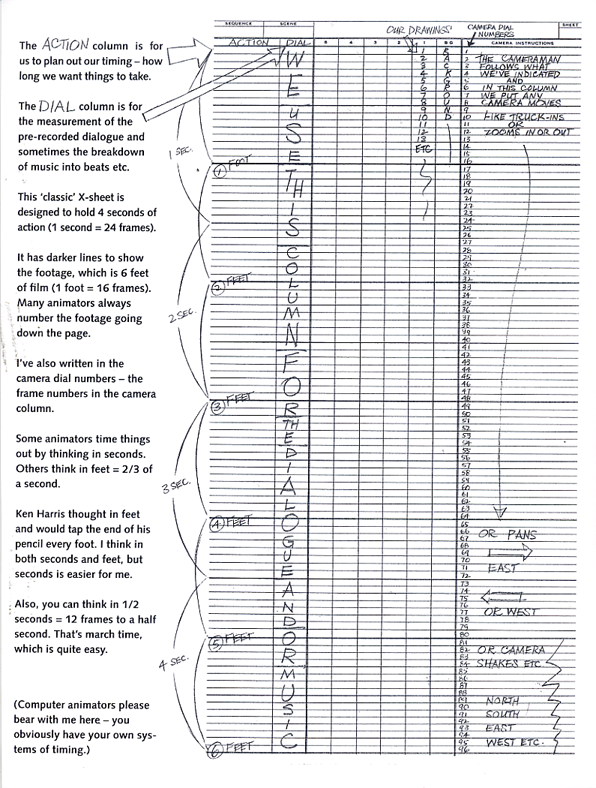 If a fast part are not moving as fast as you like them, you can go back a reshoot those drawings on 1s (1 frame). Or if you want to slow down the balloon parts that are moving slowly, you can shoot a few drawings on 3s, maybe even 4s. This will slow down the balloon and increase time during this section. 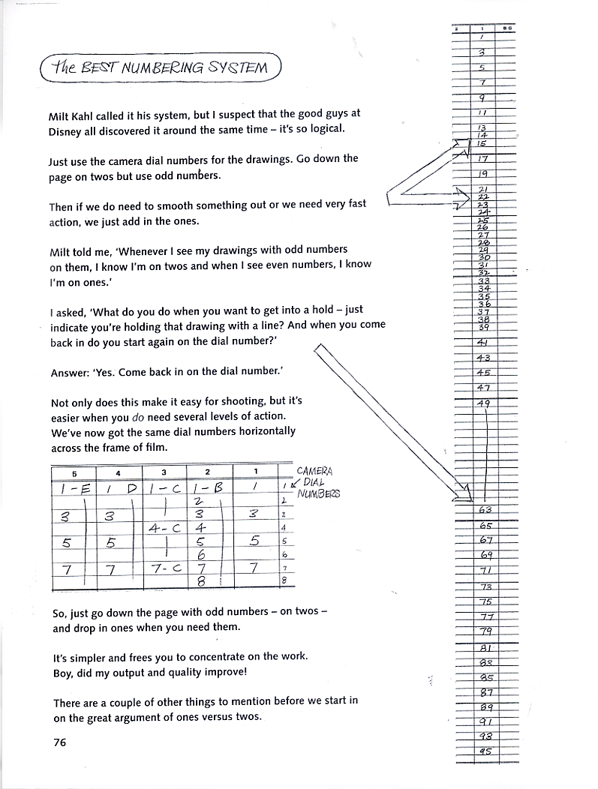 It's a good idea to write down how your drawing numbers which are based on your pencil test by filling out an exposure sheet. 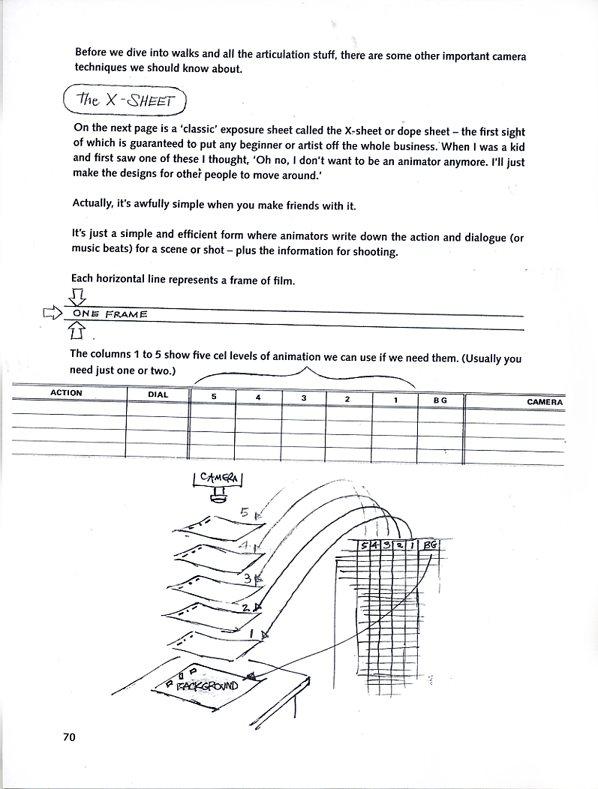 An exposure sheet (also known as an X sheet or Dope sheet) records how your animation was shot in frames, what field was it shot at, any camera moves or other levels of animation like a Background or other elements. Use a pencil when filling out this sheet, because you might decide to change or add drawings later. If filled out correctly, you could have anyone shoot your animation as long as they had the artwork and knew how to read the X sheet information. Student tend to forget about the exposure sheet process and then spend all their time wondering what frames to shoot at or trying to remember how they shot the animation a week ago. NEXT: Adding a string your balloon.